Floor rugs have the ability to bring everything in a room into harmony and to put the finishing touch on every furniture ensemble. Their powerful presence can turn any room into a showplace! As you continue reading, you’ll see exactly what we mean. Home decorating books like to show the perfect living room, filled with a stylish couch, cutting-edge entertainment center, and a certain touch of warmth that ties the room together. A decorative floor rug, with an artful mix of color and accent, complements the couch, coffee table and end tables. It is the real focal point of the room. Larger than an accent rug, yet smaller than a full-room covering, the typical floor rug is a wide area rug designed to cover larger portions of the floor. They can be room centerpieces or dining table pads, or sometimes a lead-in to the stairway or main entrance. Use rugs to highlight a master bedroom or set the mood in a sitting area. These versatile floor coverings are the workhorses of designers everywhere and they’re available in a vast selection of colors, styles and materials. 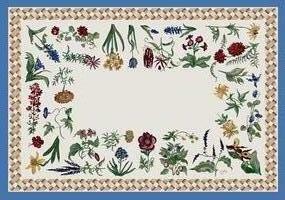 Best of all, you’ll find a variety of rugs at every budget level. 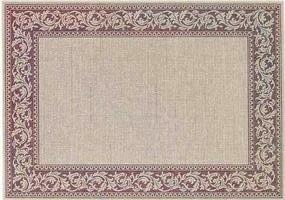 Floor rugs are most often used to beautify a room, or to lend an extra dimension to an interior design. By choosing the right color or pattern, you can complement everything from your furniture and wall hangings to the paint and ceiling color. A well-chosen floor rug placed in the right spot can enhance anything you can dream up. Chipper polka dots or funky stripes can make a room fun and flirty. Line art or reserved pinstripes can bring out the refined nature of your office or library, or add a sense of mystery to the den. Bountiful fruits and flowers can open up a sunny kitchen. A bold geometric rug adds a dramatic display to your entry or hallway. Whatever your design goals or desired effect, there’s a floor rug perfectly suited to your needs. 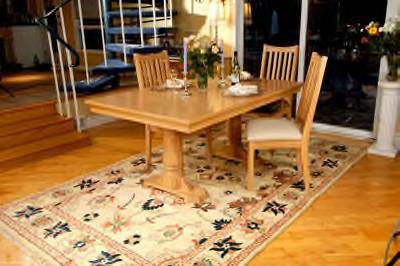 Rugs are also commonly used to help protect flooring from stains and wear. Hardwood, fine carpet, or similar flooring sometimes needs added shielding in areas of high traffic. 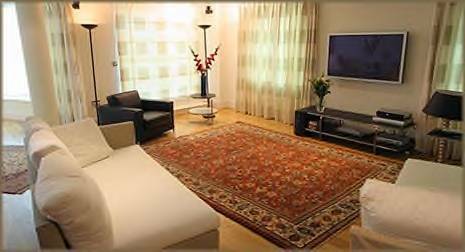 A good quality rug can provide added interest and much-needed protection for your beloved base flooring. They are also ideal for areas with an existing bald spot. Cover up that worn spot in front of the sofa with a leisurely European lattice or a daring modern checkerboard. As a room artist, your rug palette is unending. There are literally thousands of possibilities. 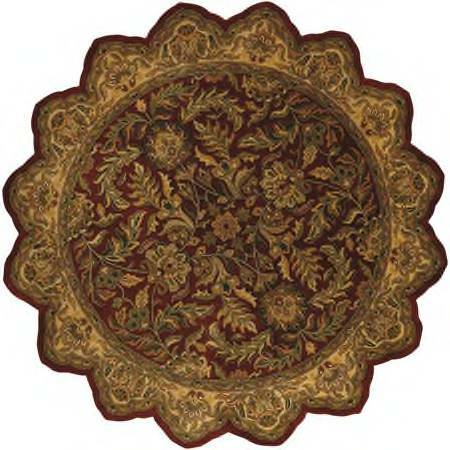 Some of the more popular styles of floor rugs include fantastic premium rugs (traditional hand-knotted rugs in paisley, floral, or gothic designs), contemporary rugs (funky geometric designs and pop art), comfy country rugs (colorful florals, fruits, lattice designs, and braided ovals), eye-popping shags, handsome woven bamboo rugs, plush Flokatis, licensed designer rugs (including Andy Warhol, Calvin Klein, Kathy Ireland, and more), Southwestern woven rugs, Zen-infused Tibetan rugs, and sturdy indoor-outdoor rugs. And that’s just the beginning. Floor rugs are available in an equally astounding mixture of materials and weave styles, from collectable hand-knotted Persians to machine-woven economy rectangles and rounds. Materials for floor rugs include wool, silk, cotton, polyester, bamboo, sea grass, nylon, faux fur, cotton rag and synthetic silk. Often, two or more materials are combined for blends. Whatever type of material you like best, you can be assured that there’s a wide selection of rugs made from that material. Your color and design options are plentiful as well. From simple, single-color effects to fancy varieties depicting everything from dancing elephants to elegant peonies, there are enough themes to do every room differently. Pick a hot fuchsia, a hearty chocolate, a multi-hued stripe or a designer block. Floor rugs come in every color of the rainbow and some you probably haven’t even thought of! A good rug might be just what your home is missing. Try one in every room and see for yourself what a difference they can make!